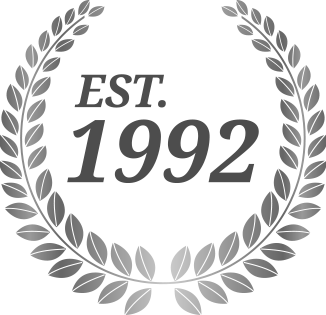 "With over 20 years of experience, we have moved tens of thousands of people all over the world." There are different ways to ship your household goods and this really depends on how much household goods you have and how much you want to spend. The sizes can range from shipping boxes on a pallet to using an entire space of a steel container. 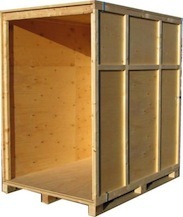 The pallets are used mainly for those who have multiple boxes and very small pieces of furniture. The pallet option requires that the customer purchase (or find) the pallets themselves, stack the boxes onto the pallets without overextending the pallet dimensions, and then shrink wrap the entire lot with saran wrap. The contents on the pallets should not stick out and should not be more than five feet tall. Each pallet should have an average weight of 250 lbs. Once the pallet is ready to be picked up by the trucker, we will commission the trucker to come and pick up the pallet at your residence to take it to the warehouse where it will be put into the container. One of major advantage of the pallet is the ability to do the preparation yourself and not pay the movers for these services. There are also cargo containers available for your boxes, in order to keep them all together inside reinforced cardboard on each pallet. 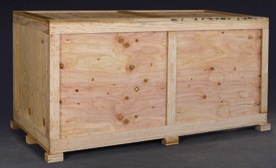 The 100 cube is often used for customers who have 20 to 25 boxes and/or small pieces of furniture. The difference between the cube and the pallet is that the cube is entirely enclosed whereas the pallet is not. In addition, the movers will actually come to your house and pack and/or load your belongings into the cube. This includes padding and wrapping materials. Typically, the cube can hold about 500 lbs of household goods on average and is the number one choice for those who are shipping very little but do not want to take the hassle in readying their shipment for pick up. Preparing your shipment at your residence by packing and loading yourself, instead of having a local moving company prepare your shipment at their warehouse, can save hundreds, even thousands of dollars off your total bill. 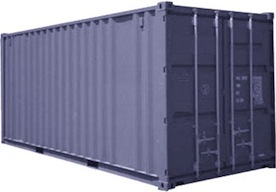 Each cargo container is 4 x 3.3 x 5.6 feet or 48 x 40 x 68 inches. Each one is about 80 cubic feet total and can hold around 20 to 25 boxes each. Average weight of a cargo container with boxes is around 500 to 700 pounds. If you decide to use the cargo containers as your method of shipment, please note that our minimum shipment is for two cargo containers. The lift van is the most common form of shipment of household goods. The lift van can hold about 1,000 lbs on average and is 7.25 feet tall, 7.25 feet long, and 3.75 feet wide with 196 cubic feet total. The interior dimensions are a bit smaller at 6.0 feet high, 7.0 feet long, 3.5 feet wide with 160 total cubic feet. You can use as many lift vans as you need; however, once you reach 5 lift vans, it is often at that point that it may be cost effective to use a steel container at that time. 5 lift vans can fit into a 20 foot container, 10 lift vans can fit into a 40 foot steel container, and 14 lift vans can fit into a road van. The lift vans are heat treated and are ideal for over the ocean shipping. They weigh about 320 lbs empty and are made very sturdy wood. The term "lift van" is used because a fork lift is used to 'lift' the crate onto the moving van. Once your shipment is packed and loaded into the lift van, it is shut tightly and will not be opened until it is ready for delivery at your final destination. The quote for household goods shipment in a lift van includes the padding and wrapping of furniture and loading/unloading the household goods. We must be the ones to load and unload the household goods in and out of the lift vans mainly for security and insurance purposes, as well as the fact they they weigh too much for customers to load themselves. One of the advantages of the steel containers is that you are allowed to pack and load the steel container yourself which would reduce your moving costs by thousands of dollars. The containers are on a chassis, and is about 4 feet off the ground, so you may need to get a ramp, which is often ascertainable at Home Depot or Lowes. They run around $60.00 on average. Our container quotes are door to door meaning that we will deliver the container to your original residence and then to your residence at your final destination. There are straps in the interior that will allow you to anchor the household goods to the side of the container. We provide packing and/or loading services and as well as unloading and unpacking services at destination for additional costs. This is the '18 wheeler' you see often on the freeway. The road van can hold up to 14 lift vans. The road van is used only for our Alaska shipments as we have the option of driving through Canada and into Alaska. 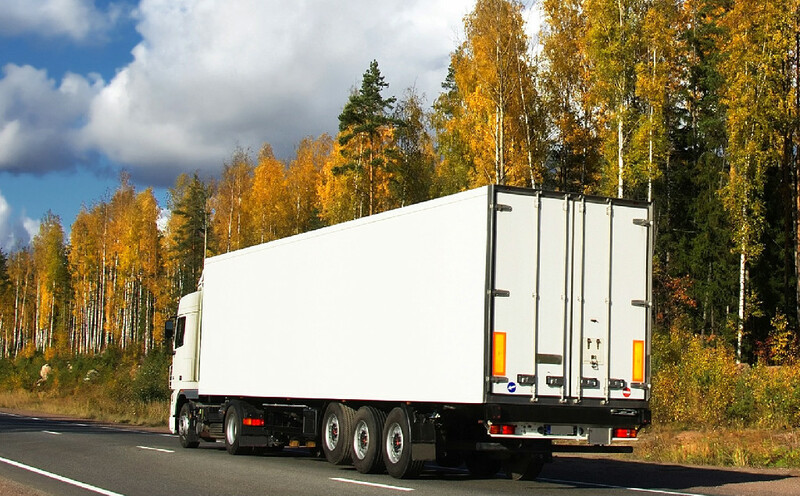 Our policy is to crate the shipments into lift vans and then put them into the road van for transportation over land. You don't need 14 lift vans to use the road van. 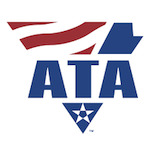 Sometimes, we can ship one or two lift vans and quite often, it is cost effective to have your shipment be driven to Alaska rather than shipped over seas. The cost really depends on where you are located, the time of your move, and how much household goods you intend to move.